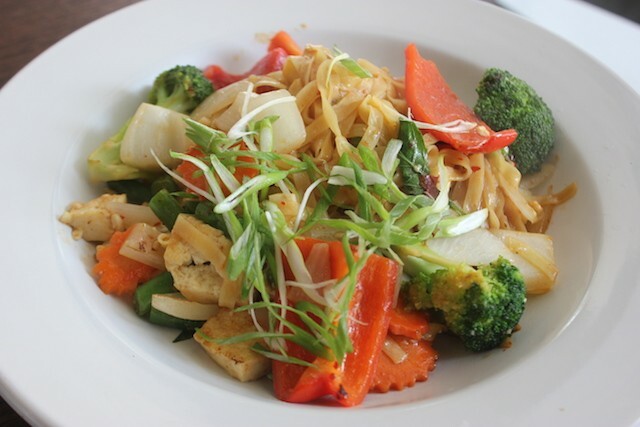 Pad kee mao with tofu. Ask St. Louis chefs for their favorite under-the-radar dish, and a surprising number will say the exact same thing: the khao soi at Fork & Stix. The unassuming Thai restaurant on the edge of the Loop has been a cult favorite since it first opened in 2012, name-checked by no less than James Beard winner Gerard Craft. It's one of Ian Froeb's "100 Best St. Louis Restaurants" and the RFT's "40 Restaurants We Love." And no menu item has been more lauded than its signature northern Thai curry noodle soup. 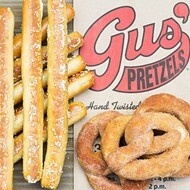 And now you don't even have to drive to the Loop to try it. 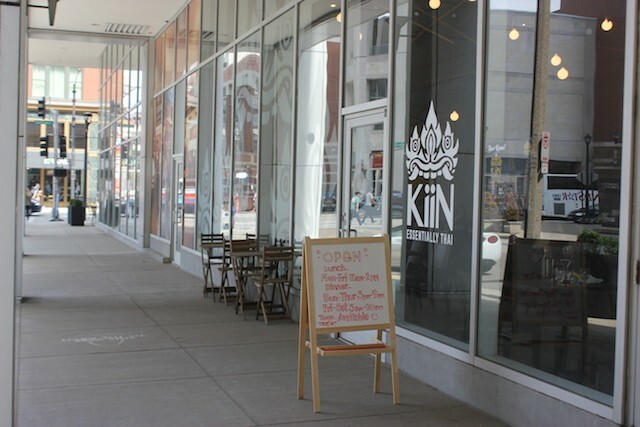 Earlier this month, Kiin Essentially Thai (550 N. 7th Street, 314-241-1989) quietly opened its doors in the MX building downtown — or at least as quietly as anyone can open their doors in a busy development in the heart of downtown. But while the owners haven't done much to publicize the opening, word of the restaurant's pedigree has clearly gotten out ... or maybe just word of that khao soi. On our recent visit, the place was packed. Now, as the name should make clear, this isn't Fork & Stix Part II. Phatcharin Wanna, the original restaurant's proprietor, has opened Kiin with a new partner, Kobe Tanya. 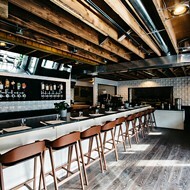 And the space has a much different look. With a soaring ceiling and sophisticated visual touches, it's ready for the downtown lunch crowd, not just food lovers on a mission. 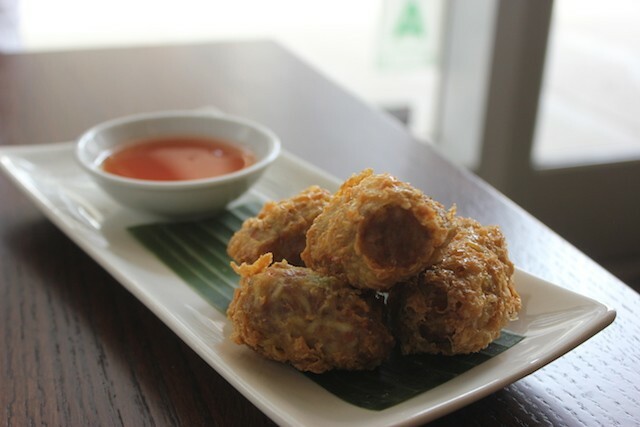 But you'll find many of Fork & Stix's highlights on offer, including the hoy jaw, deep-fried dumplings of pork and shrimp served with sweet chile sauce. Good luck trying to stop after eating just one; they're a steal at $5, but also utterly addictive. If you can somehow manage not to order the khao soi, you'll find Fork & Stix's famous Thai sausages, hung leh curry and pad kee mao are all on the menu too. The hung leh curry features pork shoulder and pork belly with fresh ginger and peanuts over rice, while the pad kee mao combines your choice of protein with stir-fried egg noodles, basil and a host of vegetables. But for something you can't get at Fork & Stix, why not try the khao mun gai? 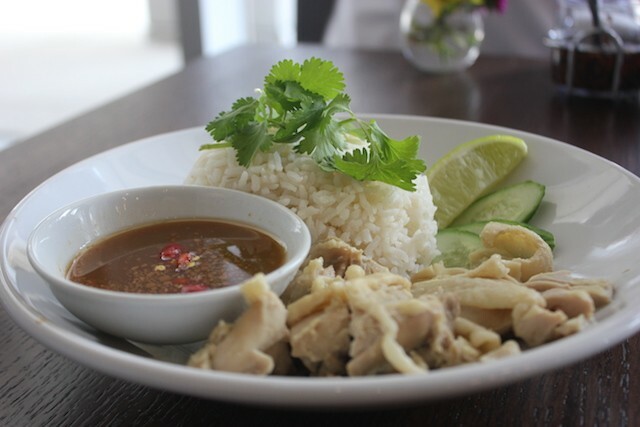 Available in either lunch or dinner portions, it's the Thai version of Hainan chicken, a delicacy in China that's generally served chilled and deliciously fatty. The Thai version has been called a "national favorite" that's nevertheless seldom served outside of the country's borders, and after eating the version at Kiin Essentially Thai you may wonder why. The sliced chicken is deliciously moist. You can pour the accompanying spicy soy-and-ginger sauce over it, or dip each forkful into the cup of chicken broth on the side. 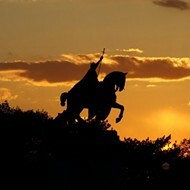 Either way, it's a unique taste for St. Louis, but still an approachable one. If you're feeling less adventurous, it's OK; Kiin is completely ready for convention-goers and lawyers who lunch, with classic curries, spring rolls and even pad Thai. Prices are quite reasonable, too; even at dinner, nothing is more than $13. There's not many rooms in town that are this stylish who can say that. 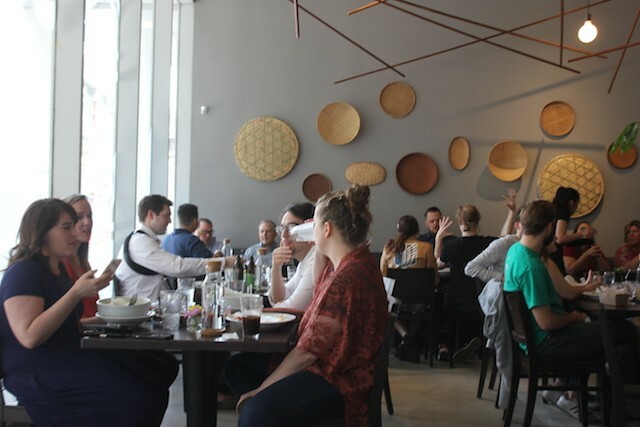 A busy lunch crowd at Kiin Essentially Thai. Kiin Essentially Thai is open weekdays for lunch from 11 a.m. to 2 p.m. and for dinner from 5 to 9 p.m. Sunday through Thursday and from 5 to 10 p.m. Friday and Saturday. You can drop by for a great Asian option downtown — or just see what the fuss about the khao soi is about. Either way, you won't leave hungry.